The software provides a timing map that allows you to program a timing curve based on the built-in 3-BAR sensor. This Power Grid module does exactly as its name sugests; retards the ignition timing in relation to boost, pressure. It also has an output wire that can be used to activate another device based on boost pressure, as well as an overboost shut-down feature that will shut the ignition off if boost exceeds the overboost target. 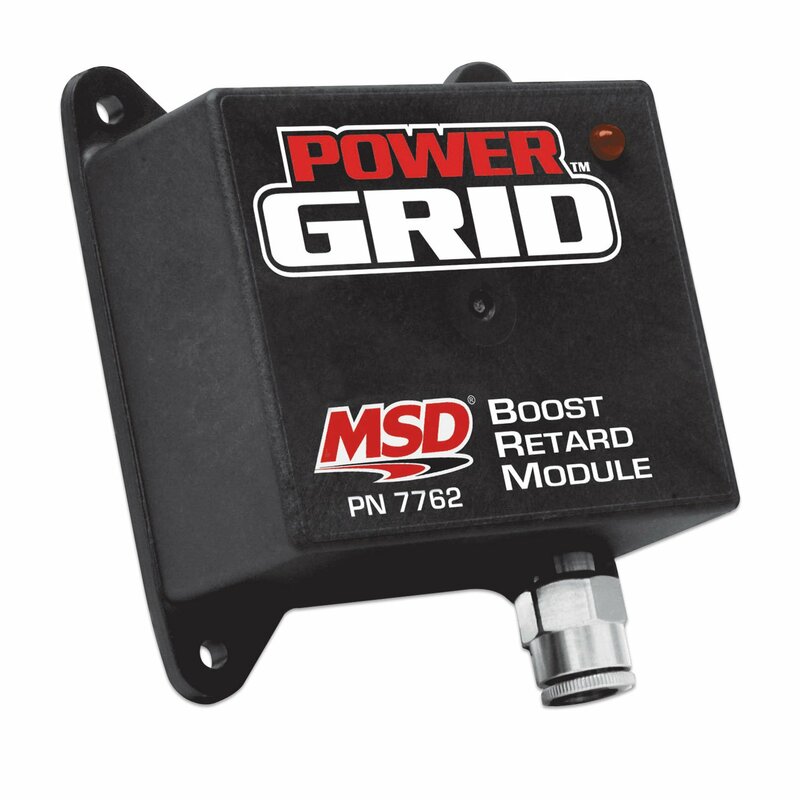 This is the "brain" of the Power Grid System - designed for use with the 7720 ignition controller, but compatible with many of our other popular ignition boxes. Requires a Windows-based laptop for configuration.